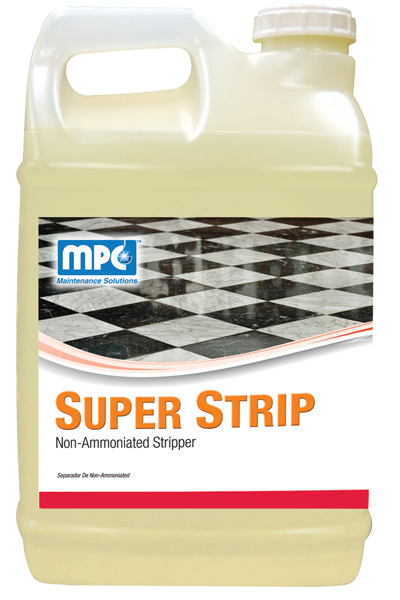 A non-ammoniated stripper that quickly unlocks all water-based waxes, finishes, and sealers. It is highly concentrated and very effective. 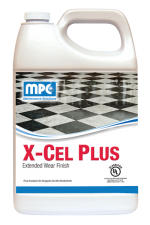 Contains no harsh solvents or abrasives. Will emulsify and suspend water based floor finishes to be picked up easily. Sweep or dust mop the floor to remove any debris. Dilute stripper 1:4 with cold or mildly warm water. The optimum use-dilution will depend on the age and buildup of the floor finish. 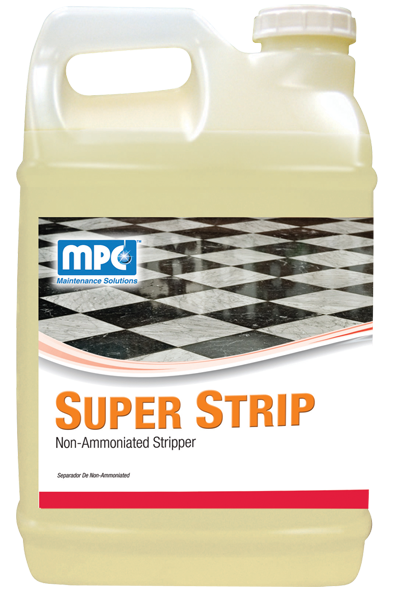 Apply the stripping solution liberally using a mop or automatic scrubber. Allow to stand for at least 5 – 10 minutes. Do not allow the stripper solution to dry. Be sure to completely cover floor to baseboards. Scrub with a rotary floor machine or automatic scrubber equipped with stripping pads. Pick-up the solution and old finish with a wet vacuum, automatic scrubber, or clean mop. Rinse thoroughly with clean cold water.